I have a thing for stoneware in simple shapes and colours. It is always my to-go tableware when I want to photograph food, as it lets the food sit comfortably, adding a gentle un-fussy soothing ambience to the scene. My food isn't showy; it's simple, honest and considered and stoneware seems a natural partner to it. My favourite piece at the moment is my Presentation Plate which came from 1265 Degrees North. 1265 Degrees North, is the name under which craftsman Richard Cullen and potter Jun Rhee create their beautifully modest tableware for Michelin star standard restaurants up and down the country. In 2017, the duo found themselves their workshop in the heart of Newcastle's creative hub, the Ouseburn Valley. They also took the space alongside the workshop and opened an independent bar and cafe space, which serves Mediterranean food and great coffee, called Kiln. The two businesses literally feed into one another. The large glass wall that separates the workshop from the cafe, allows coffee drinkers and lunchtime diners an armchair view of the flickering flames from the in-house kiln. 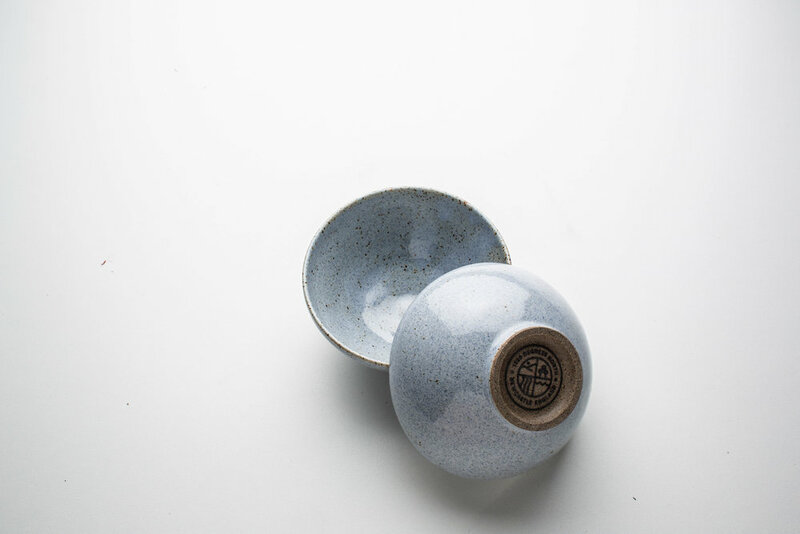 Naturally, all the food and drink in Kiln is served on 1265 Degrees North tableware and if you take a liking to your muted-coloured bowl or espresso cup , you can buy the wares on site to take home.